(i) The horizontal distance between V and S is equal to that of Q and W, which, in turn, is equal to 2 cm. 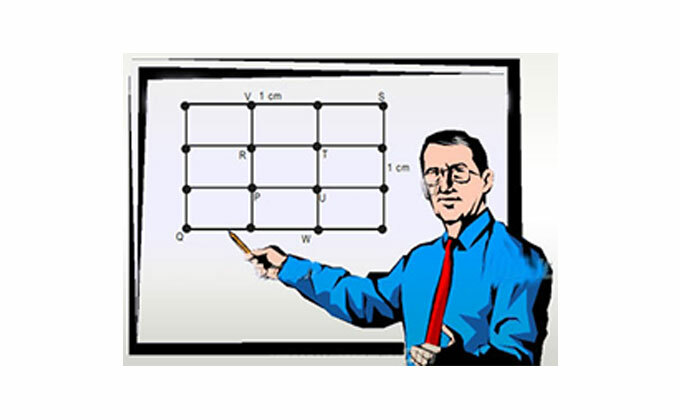 (ii) The horizontal distance between any two of V, R and P is zero. (iii) The horizontal as well as the vertical distance between Q and P is 1cm. 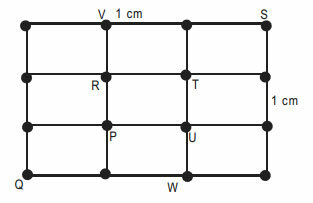 (iv) P, R, T and U are lying at the vertices that lie inside the grid.